I received a card in the mail from fellow CTMH Consultant Margi Gilbertson that I just fell in love with! 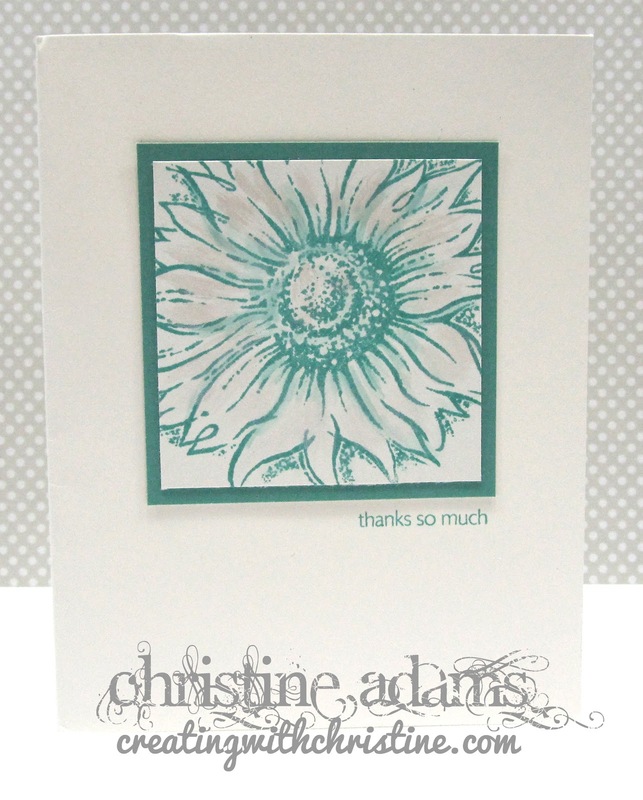 She used the May Stamp of the Month - Friendship Bouquet. But what I love most is the beauty of simplicity! She brushed the flower petals with some of our Pearl Paint to give the flower a pearlescent sheen. I want to make a TON of these! Aren't they beautiful? 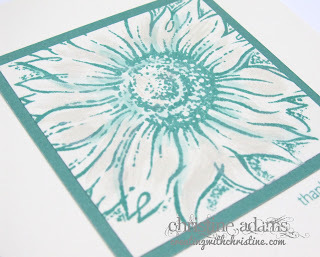 LOVE this paper and stamp set together. 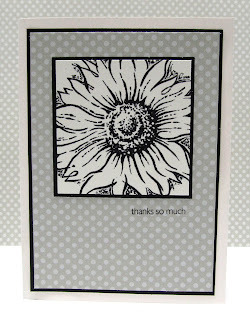 And LOVE that I can make a bunch of easy, simple, yet stunning cards to have on hand or to give as a gift. 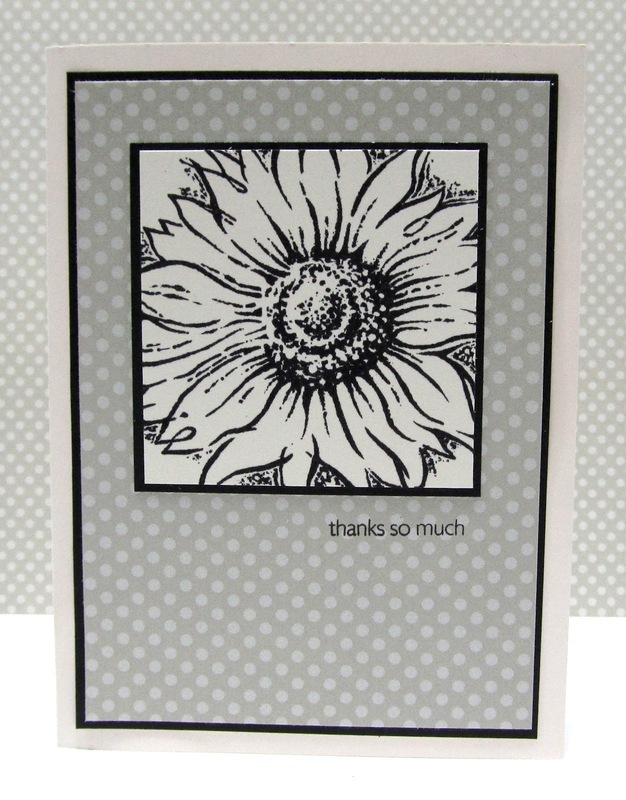 Do you have your pack of Dotty For You Paper and this stamp set Friendship Bouquet? You can get them BOTH this month for only $5 each! Click here or contact me for the details! Stay tuned for more ideas - this time in color! YUM! Love both cards. I'm off to scraplift! Ya know, I don't much care for sunflowers, but these are really something. Guess I'm gonna hafta rethink my position on this. 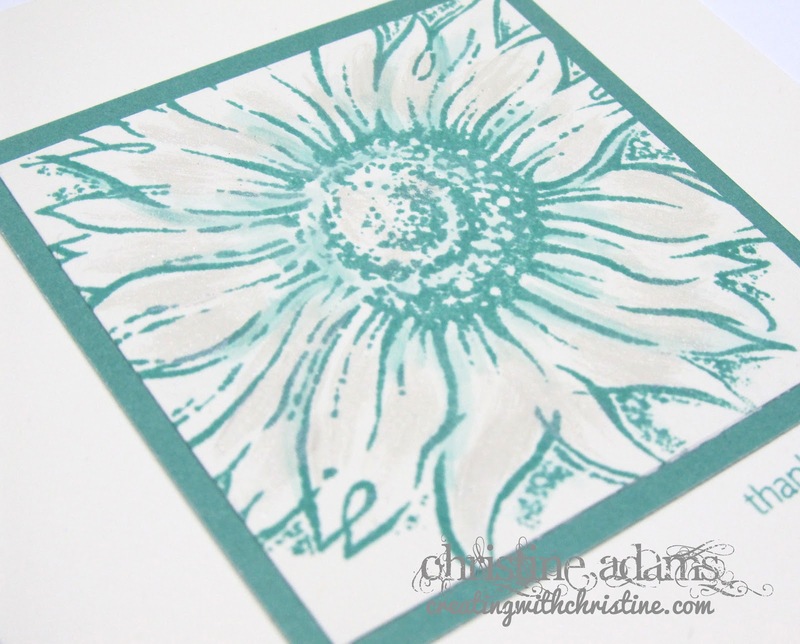 These papers are perfect with sunflowers too. Wow!